IOWA CITY, Iowa—ACT, the nonprofit developer of the ACT® test and other assessments taken by millions of individuals worldwide, announced today that the Organisation for Economic Co-operation and Development (OECD) has selected ACT to develop a creative thinking assessment for use in the world-renowned Programme for International Student Assessment (PISA) in 2021. PISA, widely recognized as the benchmark for evaluating education systems worldwide, assesses the skills and knowledge that 15-year-old students across the globe will need to succeed in education and career. PISA is administered by OECD every three years. More than half a million students from 72 countries participated in PISA’s 2015 cycle. PISA assesses student learning in mathematics, science, and reading plus a fourth, innovative domain that changes with each testing cycle. 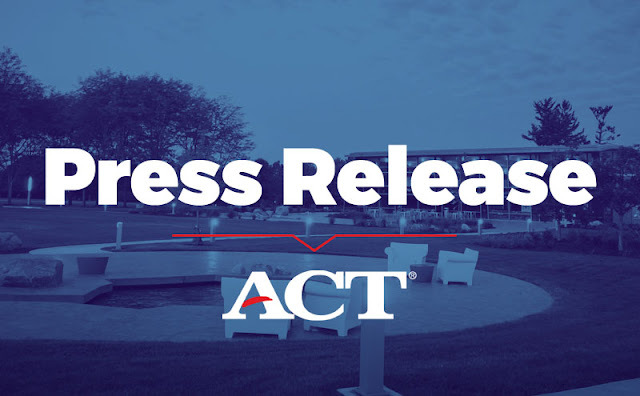 The ACT-developed creative thinking assessment will be the fourth element in the 2021 testing cycle. ACT’s development of the creative thinking assessment will be an extension of its recent work in developing the ACT Holistic Framework, a comprehensive description of the skills and competencies necessary for education and workplace success at every stage of life. The work for this project will draw heavily on expertise from ACT’s innovation arm, ACTNext. Dr. Gunter Maris, senior director of advanced psychometrics at ACTNext, will be the research program director for the team. He will be aided by Dr. Yigal Rosen, senior director of learning solutions at ACTNext, in leading the task development for this innovative assessment. Dr. Rosen has acted as the liaison for the PISA expert group for the core assessments, which gives ACT more comprehensive direction for a successful project. Augmenting ACT’s expertise and experience will be CITO, contributing its feedback on the adaptability of proposed task types and test items.